Buzzingtales was invited to enjoy Yarmarka a La Russ at WAFI where Russian talents, cuisine, fashion, music, books, and art come together to recreate the vibrant Russian culture at here in Dubai. 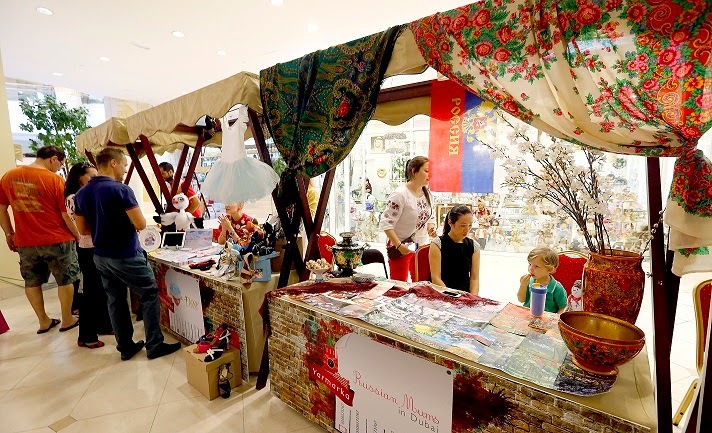 The sights, sounds, smells and taste of traditional Russia come alive at WAFI Mall this May as the Yarmarka a la Russ recreates times gone by in a celebration of Russian flair on the last three Saturdays of May 2015 –falling on the 16th, 23rd and 30th of the month. Yarmarka a la Russ captures the essence of a Russian fair, and recreates scenes from the Soviet era. At the same time, it ensures audiences can partake of authentic cuisines and artisanal wares in a family-friendly environment brought to life through authentic looking backdrops, roving musicians and Russian folk dances.The scene will be set with a giant balloon arch in red, white and blue evoking the Russian flag. The iconic Red Square – home to a historic yarmarka – will be recreated via backdrops of flagship buildings including the former State Duma – now the Historical Museum – and the GUM Trading house. As the old Soviet Union is brought to breathtaking life, Lenin and Stalin will be making surprise visits to the Yarmarka a la Russ as accomplished impersonators delight the crowds. Those looking for a perfect social media snap can take selfies while hanging out with a cutout of current Russian President Vladimir Putin. “WAFI Mall is proud of its reputation as a place that offers experiences and not just retail. Themed events such as the Yarmarka a la Russ at Taste of WAFI are a massive attraction for audiences, and enable our shoppers to explore a bit of history and culture in an extremely fun setting. 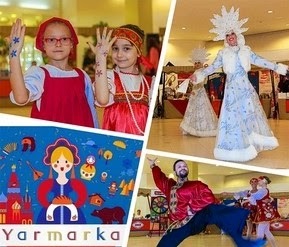 The Yarmarka – or traditional Russian fair – will capture the flair of the old Soviet Union in a way that offers entertainment for the entire family,” said Layla Al Harmoudi, Head of WAFI Central Marketing Department. Local food vendors will set up their wares, offering free tastings and a menu of purchasable items. 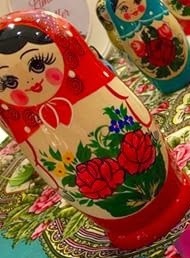 And in homage to a quintessential Russian export, Matreshka dolls will be available as souvenirs. Space will be also be dedicated to Russian books and translations. For the younger visitors to WAFI’s Yarmarka a la Russ, a themed arts and crafts area will offer colouring activities, Matreshka doll painting, accessory crafting, bag colouring and bead making fun.